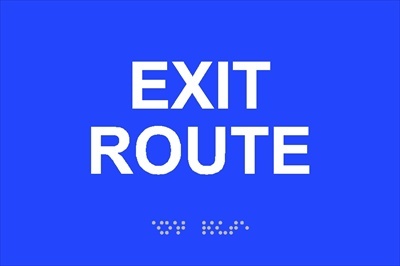 A necessary part of the wayfinding sign strategy for most offices and buildings is having the appropriate custom ADA signs for Los Angeles. Though you may just get the signage to comply with the Americans with Disabilities Act (ADA) and local ordinances, keep in mind that your ADA signage does not need to be boring. Your company’s brand and ADA compliance go hand in hand. The standard blue and white signs that are often used to satisfy these requirements are no longer an option for businesses that want to stand out. Of course, signage that follows the rules laid out by the ADA must be in any building where products and services are offered to the public, including shopping malls, museums, hospitals, restaurants, libraries, hotels, banks, and retail stores. However, not all ADA signs are the same. Your wayfinding signage can maintain accessibility requirements while incorporating sophisticated design when you use layered graphics, custom shapes, textures, and printed backgrounds. You can pick from a virtually limitless list of materials, such as acrylics of any color, aluminum, custom backgrounds, and wood. All of these will integrate seamlessly with the visual and tactile requirements of ADA markers. For a fully finished look, include standoffs or frames. 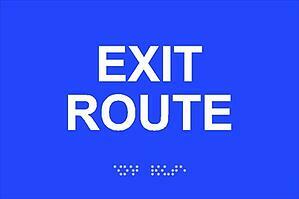 Wayfinding and directional signs do not need to have braille or raised letters. However, they do need to be high contrast and non-reflective. In addition, ADA guidelines do not need to be met by signs that change often, including room occupancies and building directories. But, this is still helpful for visitors to your building with disabilities. At first, these rules and regulations may sound overwhelming. Fortunately, at The Sign Studio, we have plenty of experience creating ADA signs to boost your brand in LA. If your company’s typeface branding does not meet ADA regulations, we can help you find a font that both meets ADA guidelines and matches your corporate identity. As long as there is a contrast between the background and the content, color combinations for these signs are seemingly endless. There are no rules governing mounting devices or frames. Plus, with layered signage and custom cut backgrounds, you can make a distinct impression. Are you unsure about what ADA signs you need? No problem! We work with a Certified Access Specialist to determine exactly what you need to be legal. Contact us today for a free consultation. 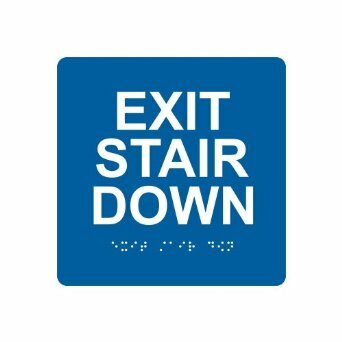 The Americans with Disabilities Act (ADA) ensures that people with disabilities can access buildings by requiring signs that have tactile letters, braille, and high contrast for maximum readability. There are about two and a half million legally blind Americans and millions more who have vision problems. But, many local business owners are left asking themselves, “Where do I need to install ADA signs in Los Angeles?” This guide should help you remember the places you may not have thought about. 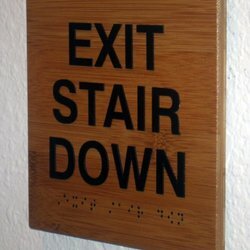 Each door inside of a stairwell is required to have a tactile sign. 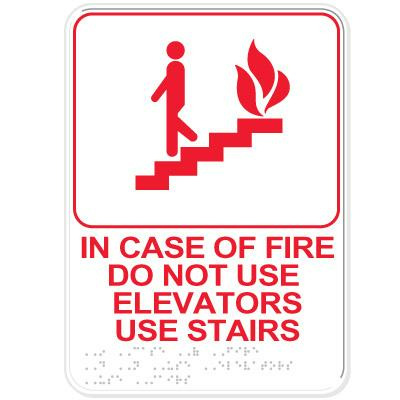 These signs should identify the stair level, exit level, and floor level. These signs must be a certain size according to local fire codes. We can help you choose signage that is appropriate for where you are located. Interior spaces or rooms where a marker is not likely to change over time are required to have labels, names, or designations. 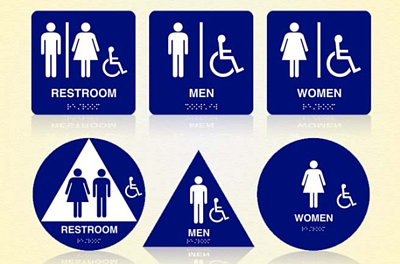 This includes interior signs labeling floor and room letters or numbers, room names, and restrooms. For pictograms provided to identify a permanent space, there must also be tactile text descriptors. The key thing to remember is that this applies to rooms that are not likely to change. For rooms whose functions change from one year to the next, ADA signs are not required. However, it is still good to label these rooms because it is the right thing to do. If you have a multiple story building, it can be difficult for some people with mobility issues to exit in the event of an emergency. For this reason, you should have designated areas of rescue assistance on each upper floor. Those persons in wheelchairs can then head to these areas and rescue personnel will know where to go immediately upon arriving at your building. It is generally quite easy for people with disabilities to find the elevator. However, as a permanent fixture in your building, you need to label it. In addition, this is a good spot to have a directory sign for people of all abilities as well as a sign outlining the evacuation routes. These are just some of the places business owners forget about. 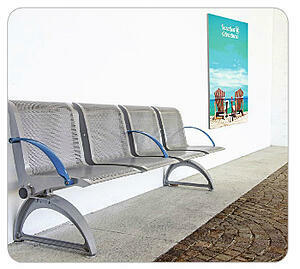 The Sign Studio can help ensure your facility has all of the necessary ADA compliant signs. Los Angeles property managers come to us for both custom and standard ADA signs that are up to code. Navigating all of the regulations can be confusing. That is why we work with a Certified Access Specialist who can do a thorough site evaluation and determine what signs you need to be in compliance. Once we know what signage you need, we work with you and your budget to produce the perfect solution for your purposes. 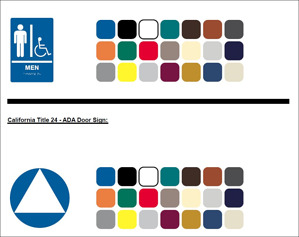 For those clients who have a little bit more money to work with, we strongly recommend including your company logo and colors on all of your ADA signs to help build your brand. Interested in learning more about what we can do for you? Contact us today for a free consultation and quote! Trade show season is already in full swing, which has many businesses scrambling to come up with a plan for their exhibitor’s booth. Some companies will try to use the same tattered old banners and table throws they have been dragging out of storage for years. Unfortunately, shabby trade show displays will not cut it. Instead, make your booth pop this year with hot, new Vector Frame poster displays for trade shows in Los Angeles. What Are Vector Frame Poster Displays? Three-quarter inch lightweight aluminum extrusion is used to create the Vector Frame Edge fabric poster displays available at The Sign Studio. The graphics are rendered on easy to apply, push-fit fabric. For semi-permanent or permanent hanging in any environment, the frames come with simple wall mounting hardware. In addition to trade shows, the Vector Frame Edge is perfect for use in restaurants, retail environments, and high traffic spots, like office buildings and malls. Plus, the graphics and hardware for this display option are made in the United States. There is a Vector Frame poster display solution for any space with the four standard rectangular sizes, five standard square sizes, and custom sizes available. The standard rectangular sizes range from 11.8 inches by 23.62 inches to 23.62 inches by 47.24 inches. The standard square sizes are 11.8 inches long on each side up to 59.06 inches to a side. Trade Shows – Most people use Vector Frame poster displays for trade shows in Los Angeles. This is because they do a great job. With a small budget, you can create an eye catching display with two large Vector Frames on either side of your booth. They can be used to introduce displays of your products or services. Vector Frames are essentially the “bread and butter” of trade show displays. Wayfinding – Use Vector Frames to help attendees to the trade show or conference find you. If you are new to an event and are stuck with a booth far away from the entrance, guide people to your exhibit with a Vector Frame featuring your company logo and name along with an arrow leading the way. It is effective, affordable, and creates a professional appearance. Table Top – If your booth features a folding table or other table top space, you can quickly create a backdrop with your company and product information with Vector Frames. With virtually no facility requirements, you have a big display in no time. This is great outside of trade shows as well. Lobby Signs – Eventually the trade show season will be over, and you will have a beautiful Vector Frame poster display that you are just going to throw in storage. Not so fast! 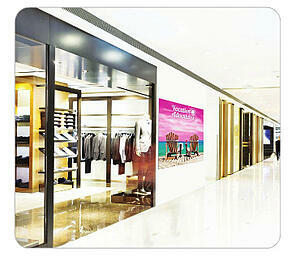 Vector Frames also work great as lobby or reception area displays between trade shows. They brighten up your lobby while building your brand. Are you ready to give your booth a little pizzazz this trade show season? If so, contact The Sign Studio for the latest in trade show products. Are You Using Custom Imprinted Table Throws in Your Trade Show Booth? The 2015 trade show season is upon us, and if you plan to be a sponsor or exhibitor at these events, chances are you are looking for new ways to turn heads and bring attention to your business. A trend that we have noticed recently is companies opting for smaller booth spaces in favor of spending more money on cutting edge booth designs. One affordable way to get your message across and attract attendees is with custom imprinted trade show table throws for Los Angeles. These table throws are specifically tailored to fit the most common round tables with diameters of 30 inches, 48 inches, or 60 inches as well as heights of 30 inches or 42 inches. They come in eleven standard fabric colors, or we can create custom colors to match your corporate colors. All alternatives lend a polished and stylish look to any trade show. Plus, with limited booth space, these throws serve to conceal your materials under the table. As with the above option, imprinted table throws come in eleven standard fabric colors and are customizable. There are two main types: full and economy table throws. Full table throws cover all sides of the table to the floor. Economy throws leave the back of the table exposed for easy access to storage. The throws are designed to fit six foot or eight foot rectangular tables. 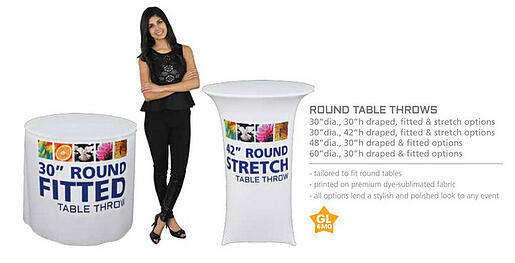 The stretch cover is the trendiest and latest table cover style. 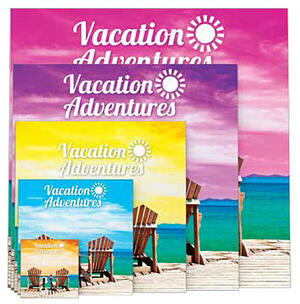 It is made with a special polyester material that offers the ideal canvas for displaying full color graphics. Our throws are cut for a contour fit, so there is less stretching needed, and your graphics will maintain their integrity. 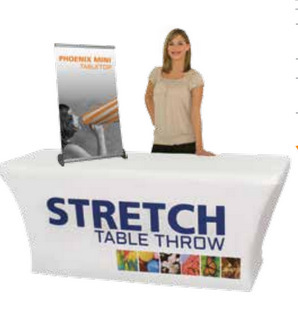 Stretch trade show table throws for Los Angeles are available for round and rectangular tables of many different sizes, and several of them come with a carrying bag. There are many different ways to customize your table throws. With imprinting, different vinyl colors are adhered to your table cover. This is typically a low cost way to promote your company’s name. Another, more expensive method that really makes a huge impact is printing directly onto the throw. Using state of the art, wide format digital printers, photos, images, and other sharp graphics can be rendered. This option only works with some table cover varieties. Are you unsure about what you need for your exhibit? Let us help you! When you first call us, we will set up a consultation where we will listen to what your goals and vision are. We will then come up with a design, materials, and other solutions that fit your needs. Our proofs will show you exactly what you can expect. If you are not happy, we go back to the drawing board and make it right. We work with you during every step of the process. If you are ready to liven up your trade show display for 2015, give The Sign Studio a call for a free consultation and quote.